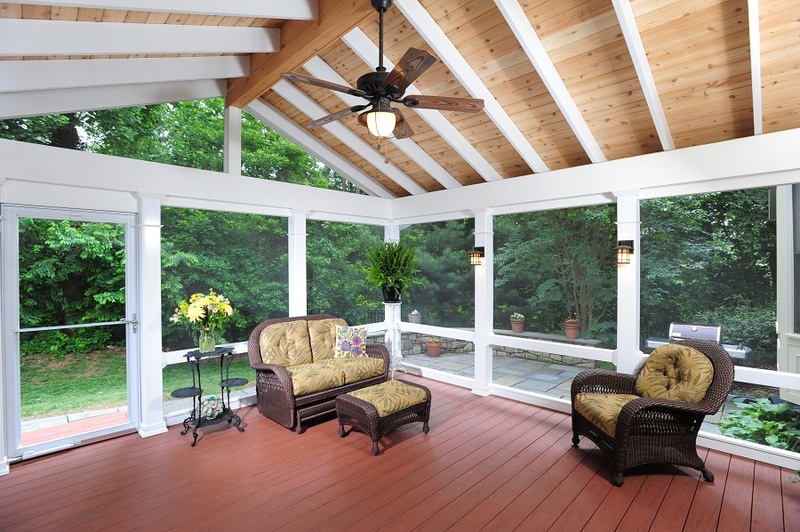 A screened-in porch built in Montgomery County with AZEK decking in 'Redland Rose' trim. The decking was installed using hidden fasteners for a clean look. 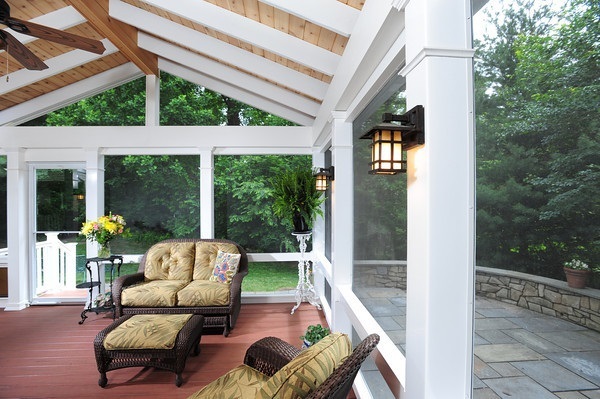 The pressure-treated wood columns are wrapped with white vinyl sleeves to make the porch low-maintenance and stylish. To match the columns, white PVC and vinyl trim was installed around the roof beams as well. The exposed rafter ceiling features a cedar tongue and groove as well as painted cedar rafters. A ceiling fan and sconce lighting were installed to add to the room's ambiance and make it usable during any time of day.